Sir David Attenborough presents the house wren found across the New World. Tweet of the Day is the voice of birds and our relationship with them, from around the world. Sir David Attenborough presents the house wren found across the New World. Having one of the largest ranges of any songbird in the New World, the migratory house wren occurs anywhere from their breeding grounds in Canada and North America, to their to wintering grounds from Central America to Chile. The male house wren's song is a torrent of trills delivered at full volume from his territory of shrubs, low trees and ferny banks. Diminutive he may be but he's feisty and is known to drag other birds' eggs or chicks from a nest-hole he wants for himself. 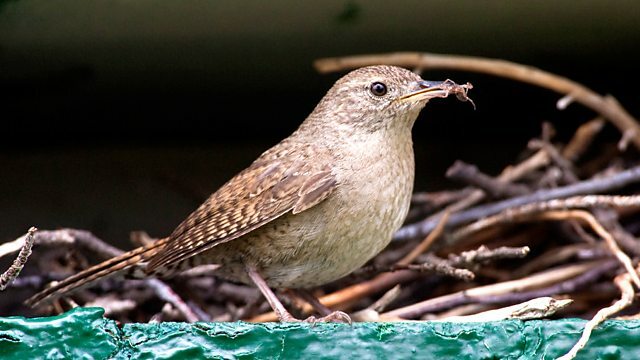 In parts of North America, house wrens are a significant cause of nest failure in some other species of songbirds. Webpage image courtesy of Shattil and Rozinski / naturepl.com.